Ischia island deserves a visit at least one time in the life. It is characterized by the weather, the sea, its ragged coast and its volcanic origins, evident in daily life, like baths, fumaroles and volcanic craters prove. The most famous volcano is Rotaro, to the north of Casamicciola. 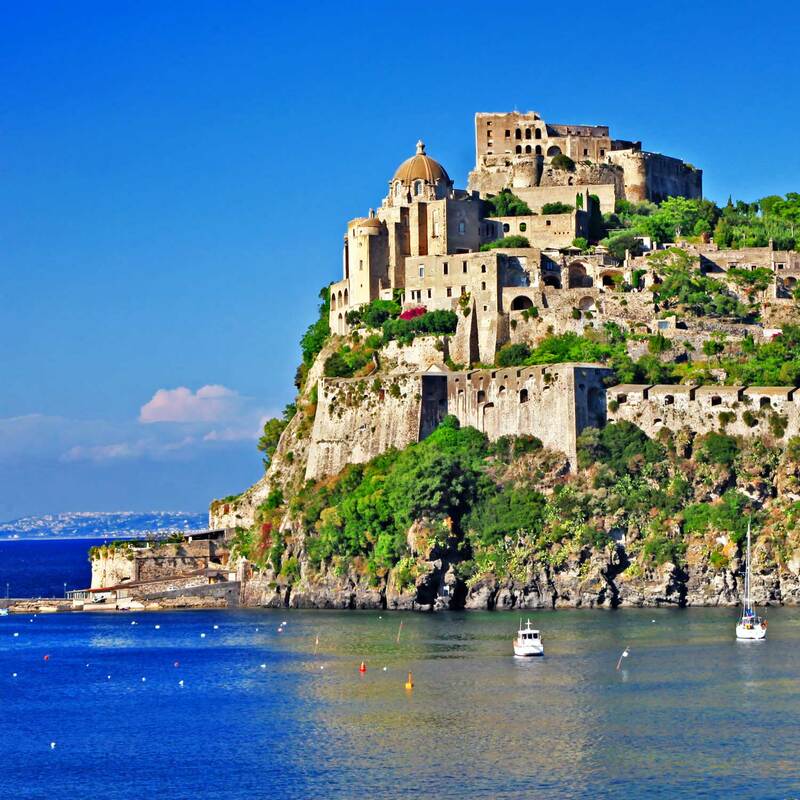 Ischia counts over 60 thousand inhabitants and it is the third among the most populated islands of Italy. The origin of its name is rather uncertain. Some people make it come from the Greek word pithekos, which means monkey, according to the myth where Zeus transformed the island inhabitants into green monkeys. Others to the Semitic word I-schra, which means black island. It is the biggest among the Phlegrean islands and it is near Procida, famous not only for its beautiful landscapes but also for being the place where Elsa Morante set his novel, Artur’s island, and for the bombings which destroyed it during the second world war. 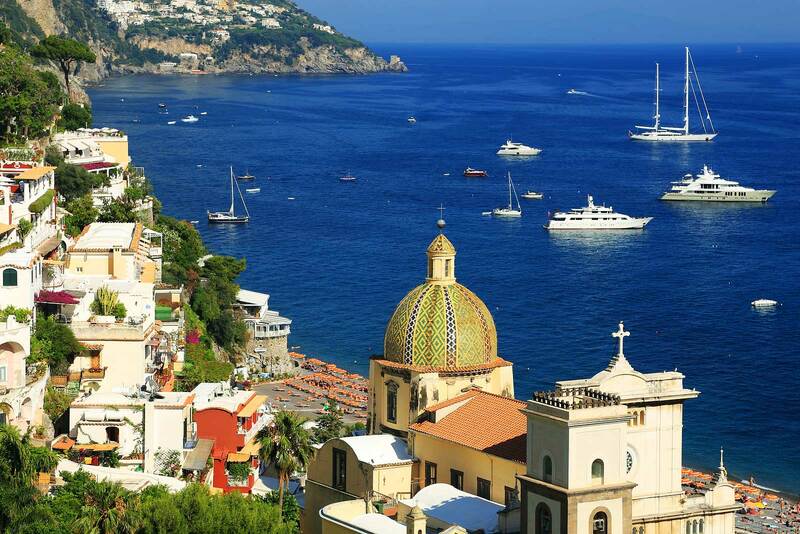 Ischia is 18 miles far from the Gulf of Naples and you can get it by ferry. A brief and delicious crossing to admire the same landscape which has inspired the most popular Neapolitan songs. Those who want discover Ischia must put on a good pair of shoes and comfortable clothes. They will be useful during the visit, rigorously by foot, of the island. There are a lot of paths to do; the most popular one flanks the coast, from the harbour to the Aragonese Castle (about 4 hours). Along the way, you can admire the Royal House, where King Ferdinand of Bourbon lived. Via Roma, with all its shops and restaurants. St Peter’s beach, with its black and subtle sand, equipped with beach resorts and hotels. You can also admire Procida, Vivara and the Gulf of Naples. On the Columbus promenade you can get the Mill Tower, an old prison, today seat of many events. Aragonese Castle is the final destination of this first itinerary. It was built on an islet linked to Ischia through a small bridge. It is open every day from 09:00 to sunset time. (ticket:10 euros). Near the Aragonese Castle there is the Museum of Sea hosting a lot of navigation and nautical tools, findings, photos and objects related to the maritime life ofthe island. It is open every day, with extended times in July and August. The Succour’s Church is very loved by islanders and appreciated by lovers for the wonderful view on the sea it offers. It is one of the most beautiful places of the island. The church has a white facade and a 20 step stairs covered with 18th majolicas. When sky is clear, you can even admire the island of Ventotene. In one of the most beautiful places of Ischia there is the Colombaia, a villa belonged to Luchino Visconti. Today, it hosts a museum dedicated to the film director and an anphitheatre with 500 places. 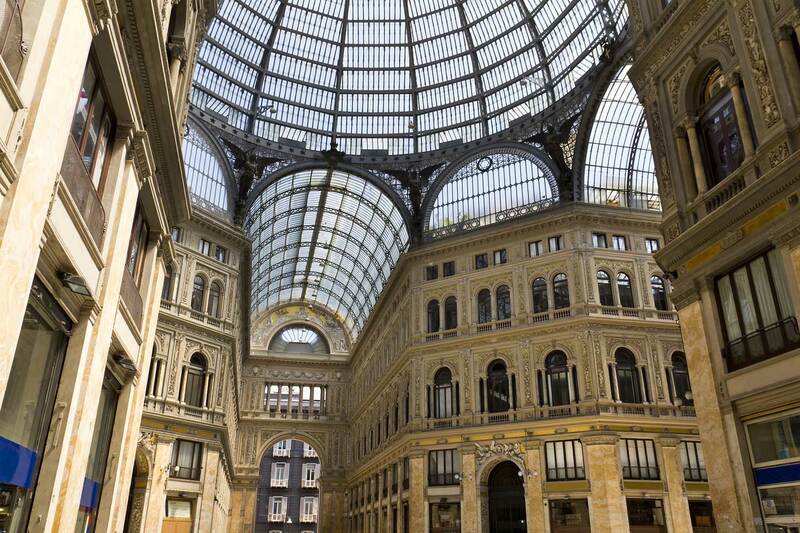 It is open from April to October, from Tuesday to Sunday (15:30 -19:30); it is closed on Mondays. Not far, there are the beautiful gardens of another villa, known as La Mortella. It is a museum-garden, rich of tropical and Mediterranean plants, built in 1956 by Lady Susana Walton, the musician William Walton’s wife. A small paradise where you can sit and admire over 500 plant species. The villa and its museum are open on Tuesdays, Thurdays, Saturdays and Sundays from 09:00 to 19:00. In summer, the villa hosts many concerts (ticket: 12 euros). 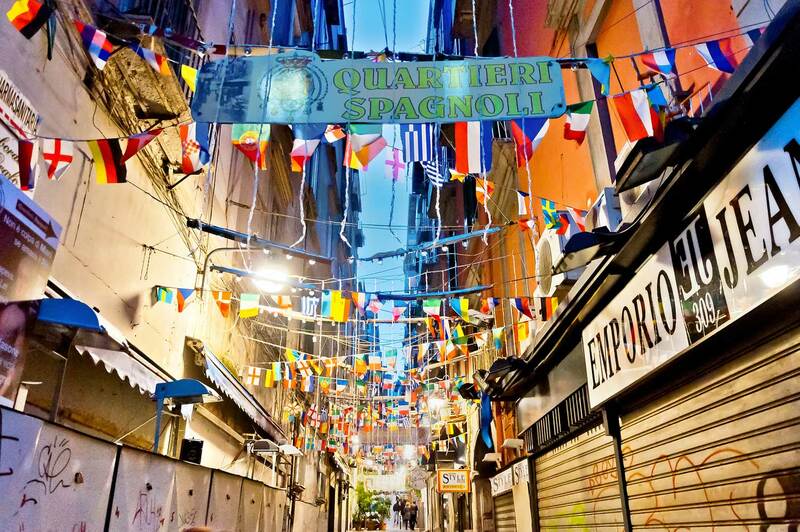 Far from trafic and chaos there is Borgo Sant’Angelo (St. Angel’s village), with its alleys, narrow streets, shops and restaurants. A wonderful place which offers breat-taking views on the sea. It is also Chancellor Angela Merkel’s favorite summer holiday destination. Between Capo Grosso and Borgo S. Angelo there is the biggest beach of Ischia, the beach of Maronti, in the municipality of Barano. With a lenght of 3 km, protected by hills and the blue of Tyrrhenian. Here there is the source of Cava Scura (black cave), the most important thermal source of the island. It is equipped with beach resorts, hotels, bars and restaurants. It is particulary appreciated by divers. 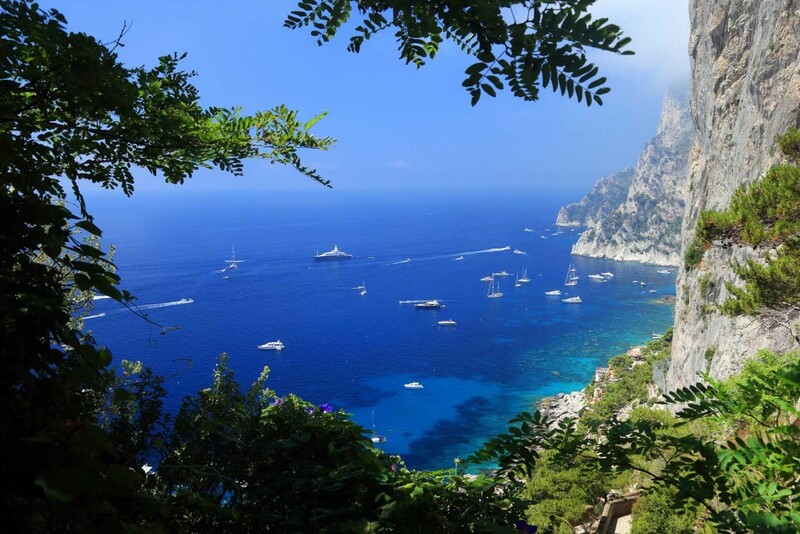 The Bay of San Montano in the centre of Lacco Ameno is very popular for its low and clear sea bottoms and subtle sand. It has an half-moon shape and it is surrounded by a rich vegetation. It is equipped with tourist services. In a 9 hectare green area we find the hydrothermal park of Negombro. It has thermal pools, spas and gardens. Pelaria Bay encloses a delicious small beach in a wonderful landscape. In the municipality of Forio d’Ischia, there is one of the most popular beaches of Ischia. Here we find the Thermal Park “Poseidon Gardens”, once known for its curative waters.